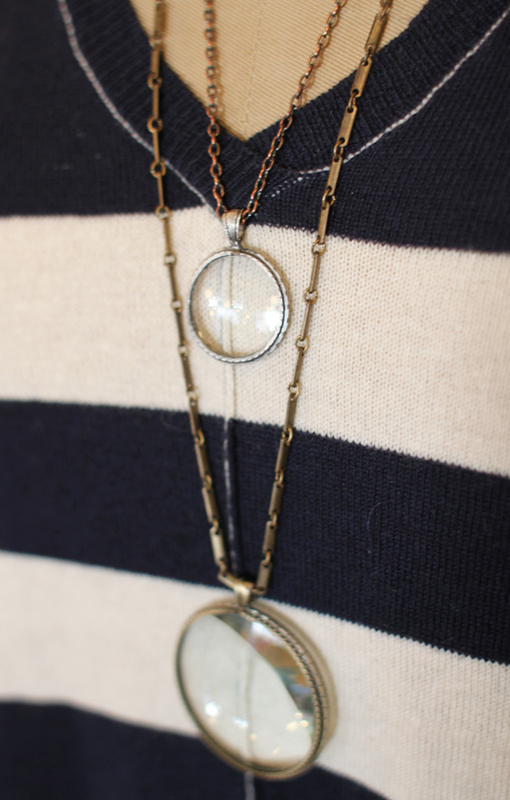 We adore these fun magnifying lens necklaces from new-to-us brand Species by the Thousands. 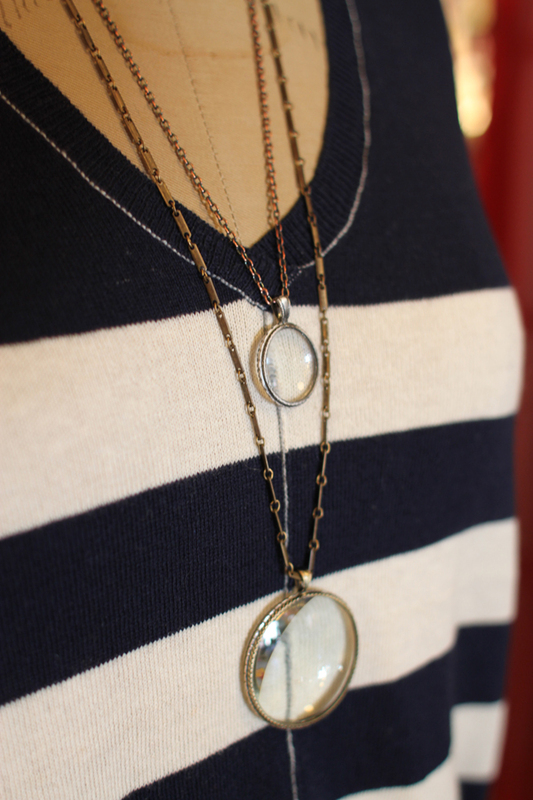 They come in three different sizes and are $46, just the thing to give a special gal for a holiday gift! Wear them layered to look extra magnificent.